Have you ever seen a hydrangea plant in full bloom? They are one of the most beautiful garden plants you’ll ever see. They make great additions to vases in the house, and come in absolutely beautiful colors. Because they are so beautiful most of the time, you really notice when your hydrangeas won’t bloom. It’s as if something is completely missing from your garden. A hydrangea not blooming can be frustrating. But usually when hydrangea won’t flower, it is because of something simple. These problems can usually be solved pretty quickly. When your hydrangea won’t bloom, it is because of the species of hydrangea you have planted. Some of them grow flowers off of new wood and some of them will grow flowers off of old wood. If your hydrangea won’t flower, then you need to figure out if this is the variety you have planted. Hydrangeas that flower off of new wood usually never cause a problem. In fact, you don’t hear people who have this particular type of hydrangea having a problem with hydrangea not blooming. 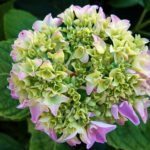 There are other types of hydrangea, however, and these might be the culprit. The most common hydrangea purchased is the Bigleaf hydrangea. It is also a common hydrangea for people to ask, “Why aren’t my hydrangeas blooming?” This particular species of hydrangea is called Hydrangea macrophilia and they get blue or pink flowers on them. However, they produce a lot of cultivars and these cultivars can die back to the base of the ground in the winter, particularly if you have had a colder than normal winter. Since these hydrangeas bloom on old wood, this creates a problem. If the old wood dies back to the ground, your hydrangea won’t bloom when it grows back the following year. This is because it’s growing new wood and the new wood doesn’t produce flowers on this particular variety. You may also have planted a variety that does not do well in your zone. Protecting your hydrangeas in the winter may help these varieties bloom better in the summer. Another problem when your hydrangea won’t flower is that you may have pruned it the year before too far back. A lot of times if these particular hydrangeas are pruned in early summer or late winter, you will have on your hydrangea no flowers to speak of. This is because, if they are over pruned in summer, they tend to die back farther than they normally would and you will end up having to wait a year for hydrangea blossoms once more because the hydrangea won’t flower. If you’re having problems because your hydrangea won’t bloom, it is best to avoid pruning your hydrangeas any time but early spring when you can see where the dead wood is and will not accidentally over prune. So, if you find your hydrangea not blooming, pay attention to first, the type of hydrangea you planted, and second, how far back it died the year before. You might not want to prune it, and if you do prune it, you shouldn’t prune it back too far in case it needs old wood to bloom. 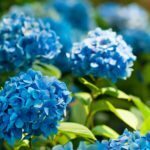 Finally, if your hydrangeas are not flowering and none of the above apply, you should have your soil tested or think back to the last time you fertilized. Too much nitrogen or a lack of phosphorus in the soil could be the reason. An abundance of nitrogen produces lush green growth, but little to no blooms. Phosphorus is responsible for the flowering and fruiting in most plants, so the addition of a phosphorus-rich fertilizer may be all that is needed to correct this. 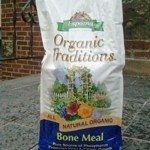 Bone meal is also a great way to add phosphorus to the soil. If you follow these rules, you won’t be asking “why aren’t my hydrangeas blooming” any longer.